This is Lisa, a woman after my own heart. She has raised chickens in the hostile climate and conditions of Northern New Mexico for years and cares for them greatly. She fights off coyotes, bobcats and badgers, as well as sub-freezing winter temperatures, to protect her flock. Here she is feeding her flock a recent 20 degree morning. My friend Rick sent me a small photo and the above story describing Lisa. 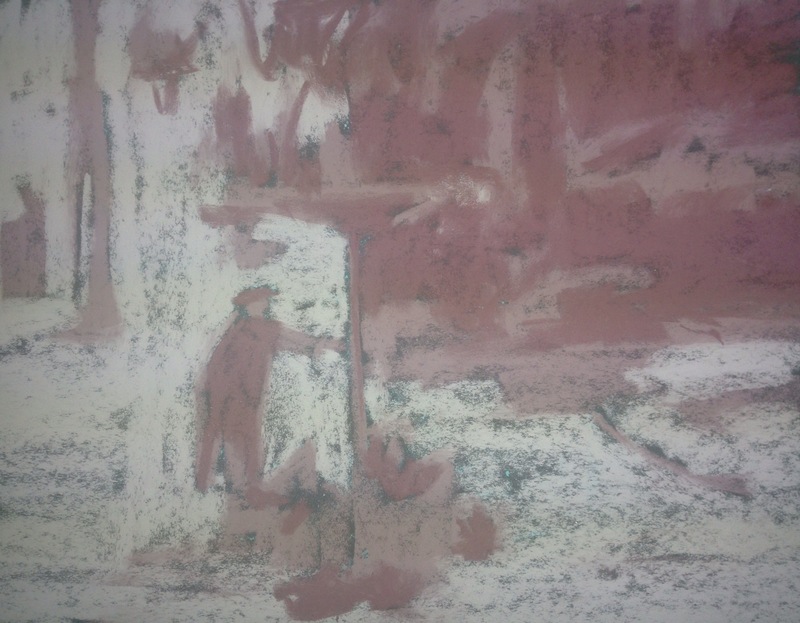 I started with a underpainting in a warm, grey violet because it sets a great overcast mood. The photo was small, so it was fun to fill in the fuzzy areas with color from my imagination. 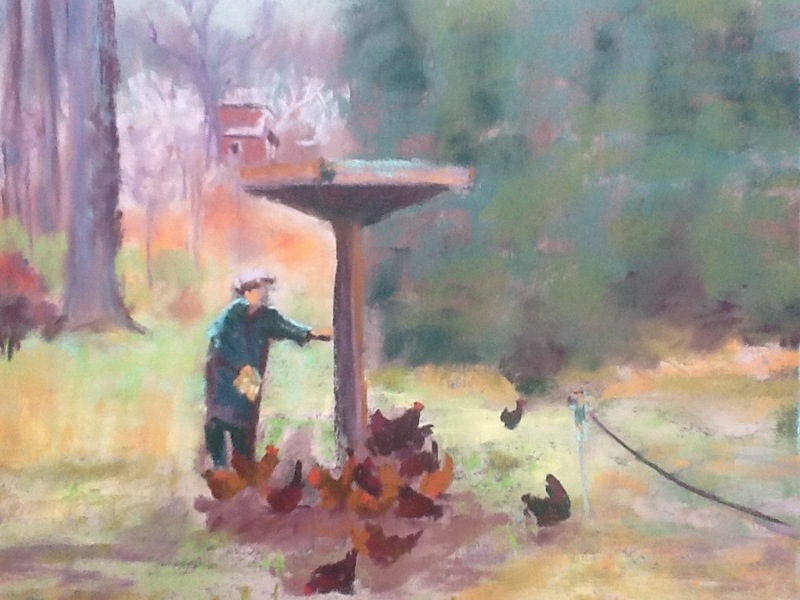 I intentionally left the hens as a blocked in mass of colors. If you have ever fed chickens, you know they never would sit still long enough to capture their beauty (at least mine won’t). I like how blobs of color allow them to move in my mind.